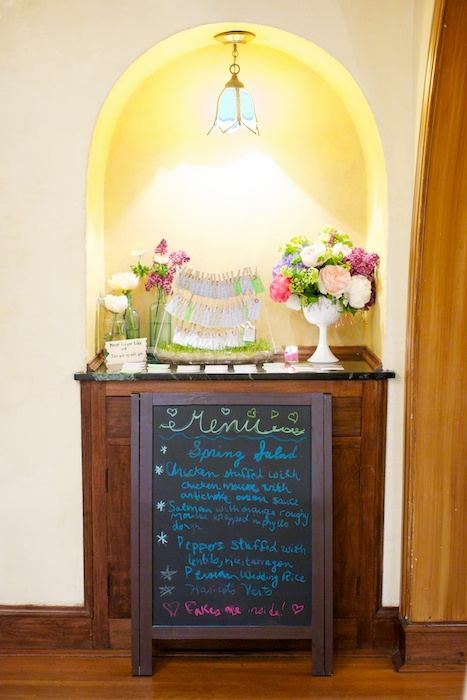 Juneberry Lane: Wedding Wednesday! 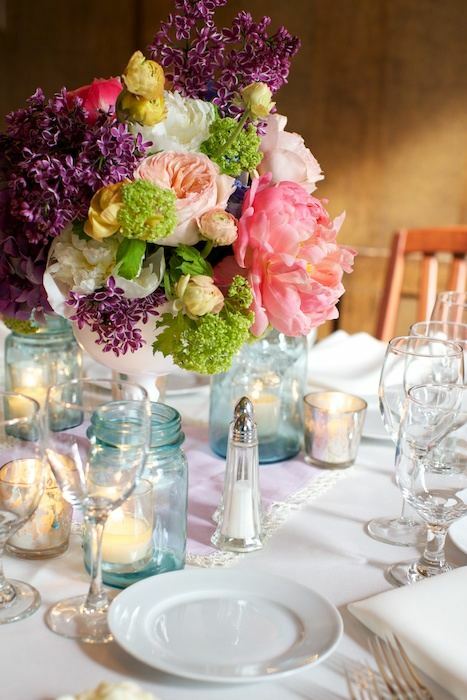 A New Series & A Magical Vintage Garden Party . . . Wedding Wednesday! 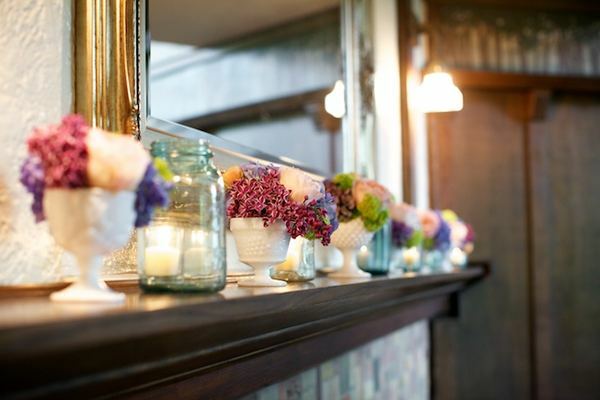 A New Series & A Magical Vintage Garden Party . . . Here to kick things off for our brand new series of 'Wedding Wednesdays' is the most magical of vintage garden party weddings created by Simply Jessie. 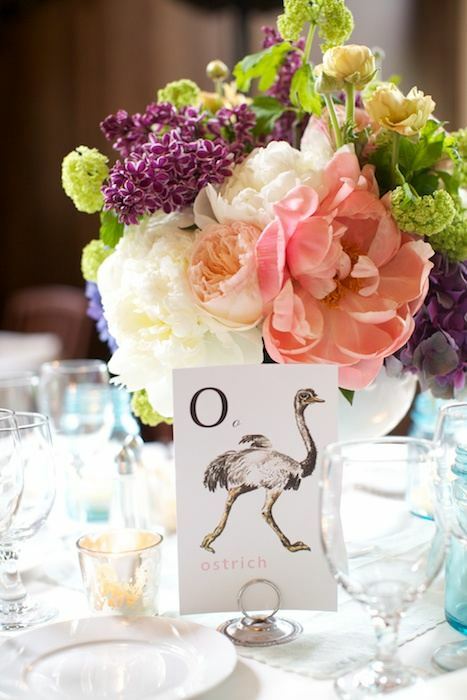 Brought to you via Style Me Pretty, this stunning little rainy day of a garden party paradise is so sweet and so full of personal touches; even the groom designed the wedding invitations, and who doesn't love a savvy groom? These two lovebirds share a passion for all things outdoors and most importantly...critters! 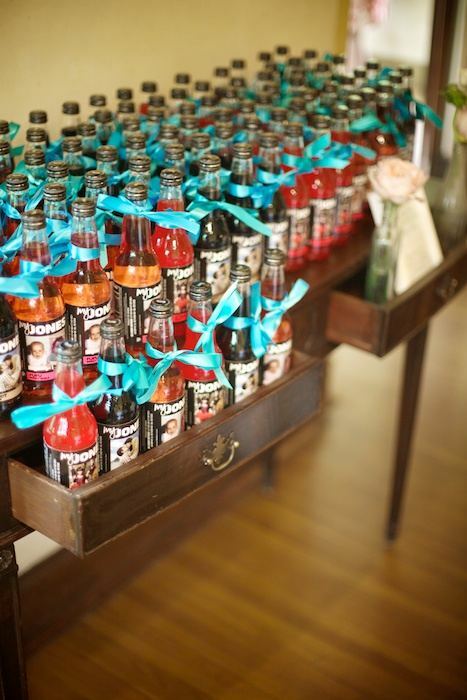 Just check out how they incorporated all of this into their special day . . . Hanging tissue poms always do the trick . . .
And look at this magnificent milk glass . 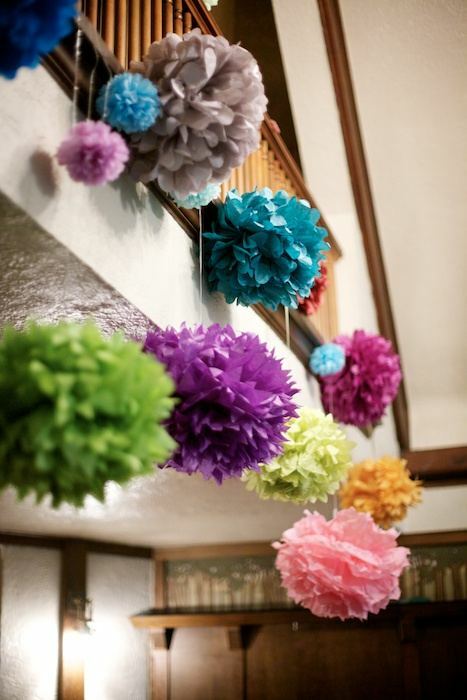 . .
Glorious strands of colorful pom garland! And a memory table . 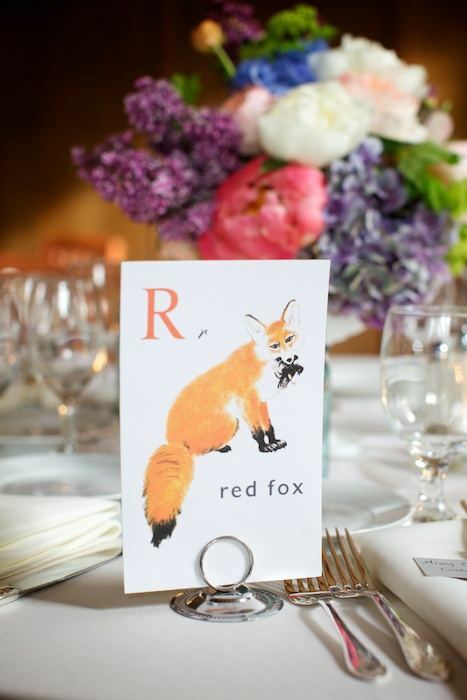 . .
Ahhh, custom designed stationary by the groom himself . . .
A Word From the Bride . 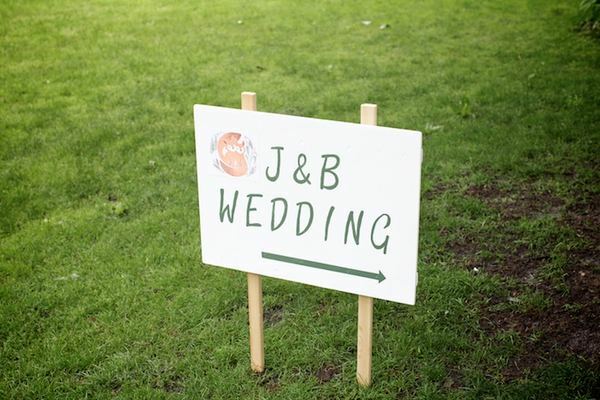 . . Justin and I wanted to have a laid back, magical vintage garden party wedding. We chose our venue because it’s a beautiful nature center and we knew we’d be surrounded by lush trees, green grass, open sky, and…critters! 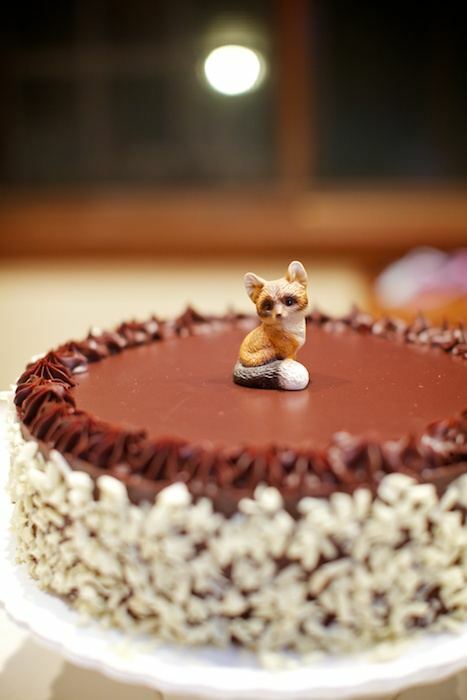 We both have a huge love of animals (it’s what brought us together, when I was helping him with his sick cat), and right from the start we knew animals would play a big role in our wedding (although we couldn’t bring our cats up to the Grove to join us). 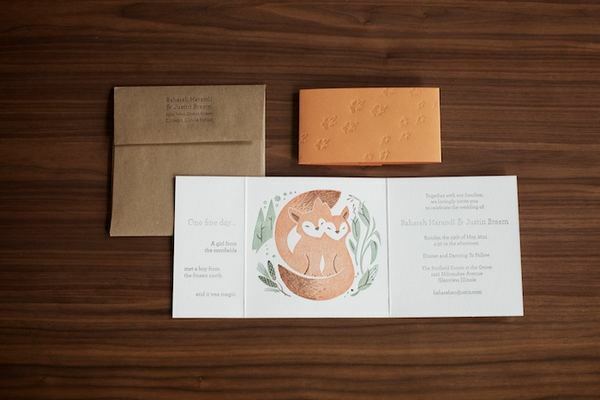 Our save the date was a stop motion video starring a painted fox and other animal friends, and Justin designed the invitations to feature two foxes in love. 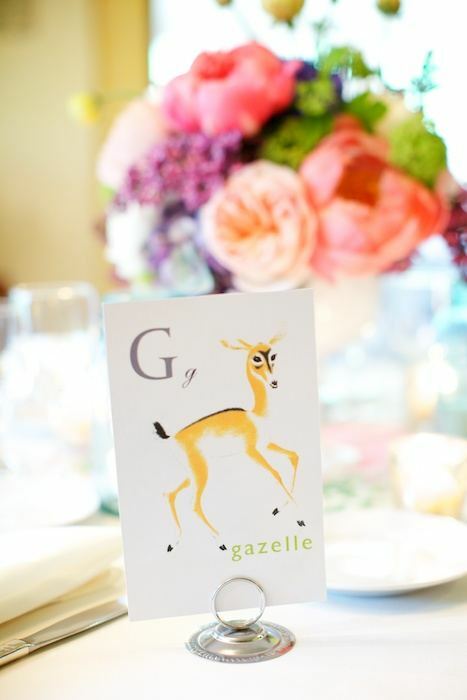 We used small porcelain and ceramic animals for the wedding cake toppers, and vintage animal illustrations as our table markers. 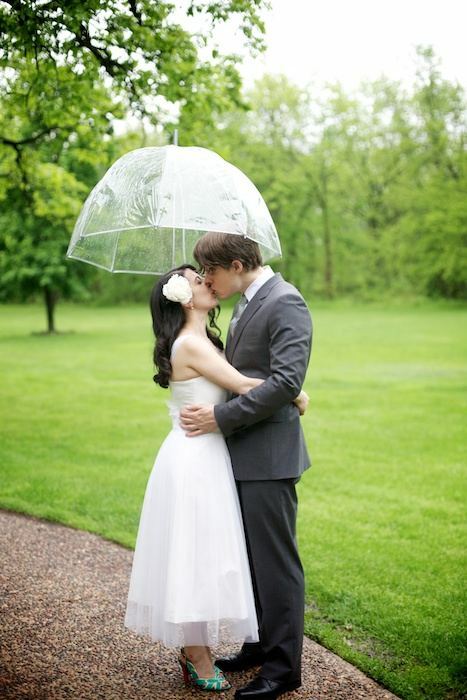 The day of our wedding brought thunderstorms, black skies, and torrential rain! For a little while I kept holding out hope that our ceremony and reception could still be happen outdoors as planned, but we eventually gave up as the rain kept pouring. We were so lucky to have our amazing friends and family help us get everything ready– there was a table of family photos and vintage animal postcards (in lieu of a guestbook); Jones soda bottles with baby, kid, and engagement pics; a wheatgrass place card holder; poms hanging from the second floor bannister; ribbon wands and numerous other items to set up. 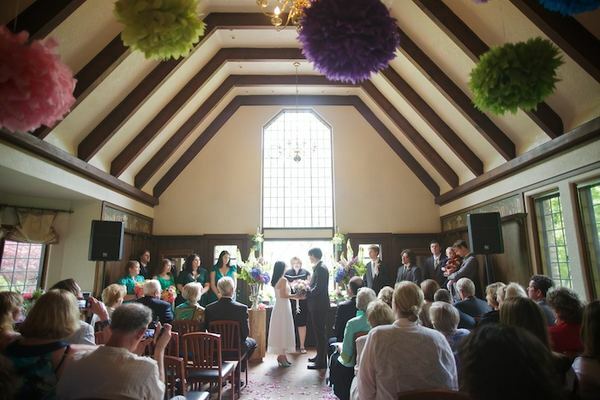 We literally could not have set up the ceremony and decorations without our friends and family! 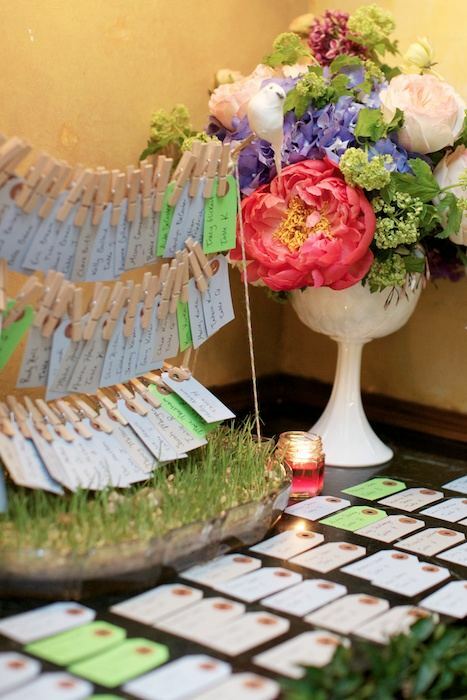 But it was our amazing floral designer, Kelly Marie Uss of Fleur, who transformed the pretty 1920′s house that is the Redfield Estate into the garden party we had wanted. She transformed the setting into a paradise! 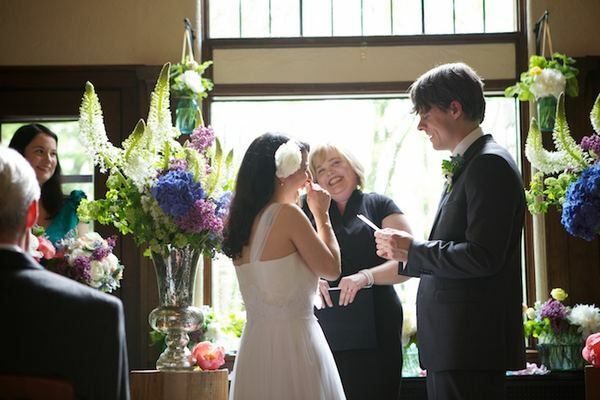 As she set up the flowers and centerpieces and beautiful mercury glass urns that flanked the altar, we were blown away. It was beyond anything we could have imagined, lush and gorgeous and sweet and so perfectly spring. 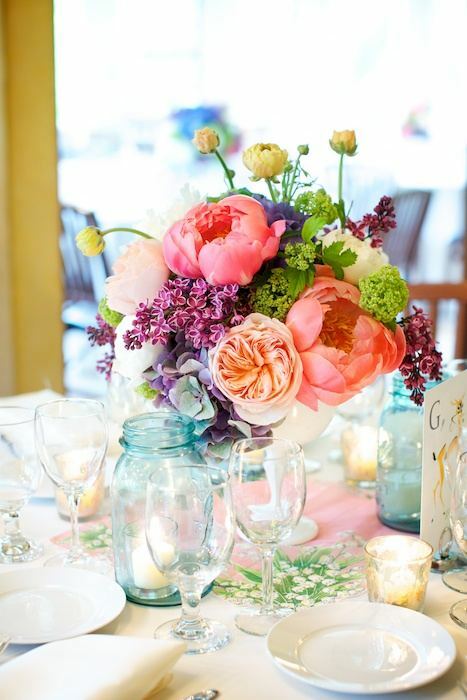 I nearly cried when I saw my bouquet, with passion flower, peonies, tulips, anemones, lilac, tweedia, ranunculus, garden roses, muscari, and more. 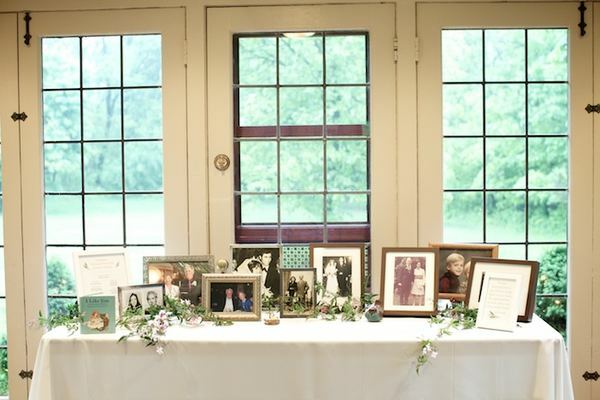 She used mercury glass votives and urns, milk glass, and blue mason jars filled with votives to give the ceremony and reception a soft glow and beautifully vintage vibe. The rain stopped just in time for guests to go outside for cocktails and enjoy the gorgeous sunset, and we had an amazing night, filled with so much love and happiness. This is absolutely divine! Simple, unique, and gorgeous. Desserts for Fall: Caramel Apple Cupcakes! Beyond the Big Day: A Pancake Breakfast! Tutorial Tuesday: Birch Bark Cylinders . . .
Glittery Gold Musings. 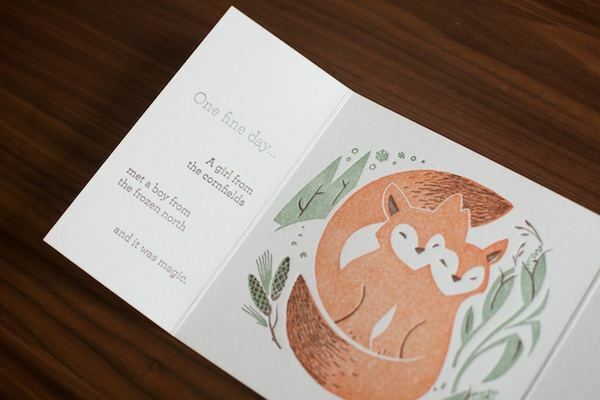 . .
Juneberry Lane in the Press! Sweet on S'mores: A House-warming Delight! 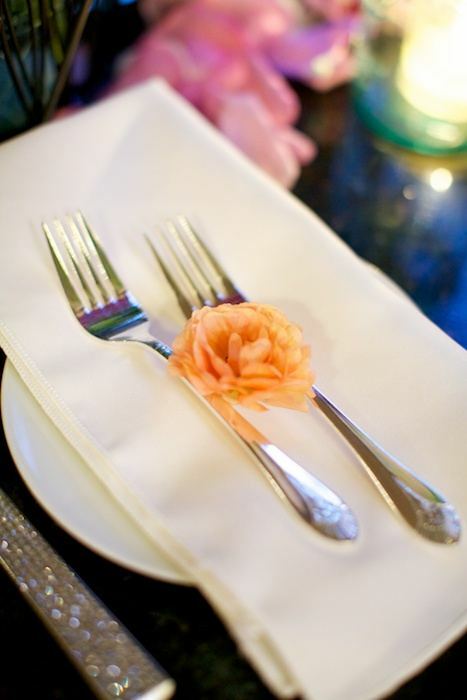 Wedding Wednesday: Bright & Boho-Inspired . . .
'It's A Small World' Birthday Party . 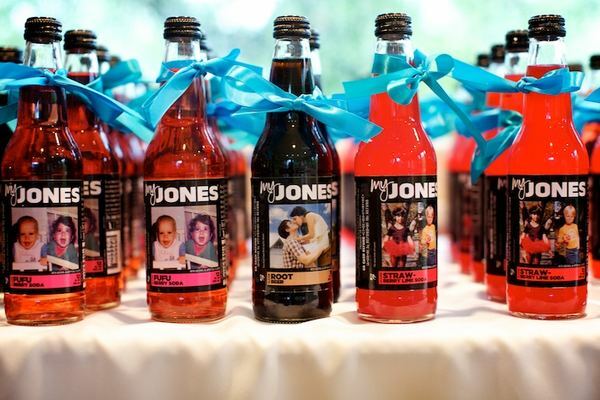 . .
A Brilliant 'Bun in the Oven' Baby Shower . .. Weekend Treat: A Hallow's Eve Dessert Table . . .
Gaga For Globes: I Searched the World Over . . .
Old Hollywood Backyard Movie Night . ..
A Resplendent Red Gender Reveal . . .